Here at Lockaway Storage, we know our success is due to our wonderful team. The care they give our renters is unparalleled and we want to highlight their milestones along the way. 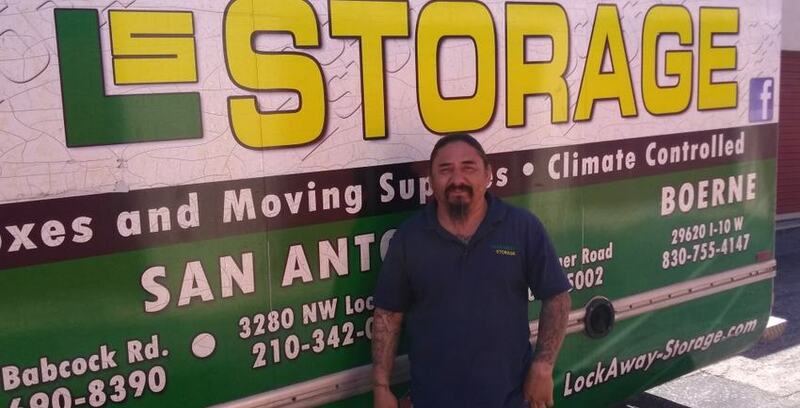 Below is an interview with San Antonio, TX team member Danny Rios, who is celebrating his 2-year anniversary with Lockaway Storage. You can find Danny working as a member of the maintenance team at self storage facilities throughout San Antonio, Texas. Colby: How long have you worked for Lockaway Storage, and what anniversary are you celebrating? Danny: It’s my two-year anniversary. Colby: Now, you are a self storage maintenance technician, so you probably float around to a lot of different facilities? Danny: You bet, yes sir. Colby: So what’s different about Lockaway as opposed to the other places you have worked before? Danny: I did construction and bricklaying a lot in my earlier career, but for Lockaway we do more maintenance and a variety of things doing, you know, maintenance on the units or doors, electrical fixes, sometimes plumbing. Just a variety of a lot of different types of maintenance. Colby: Do you have a favorite restaurant that is kind of a go to? Colby: Oh man, that’s one of my favorites too. When you aren’t at work ,what is your favorite thing to do around town, any hobbies or spots you like to go? Danny: I love to ride my bike, just go cruising on a weekend. Just taking a drive or going on a bike is fun for me. Colby: Last question, is there anybody you would you like to give a shout out to that’s helped you be successful you there? Danny: Yeah, my other partner Carlos. He has always helped teach me a little of this and a little of that. He has been a great partner.